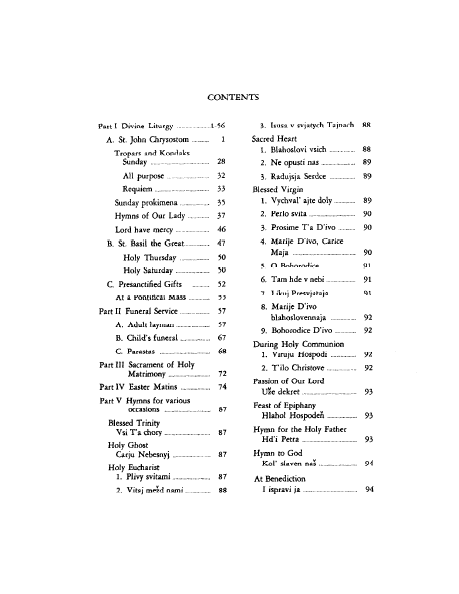 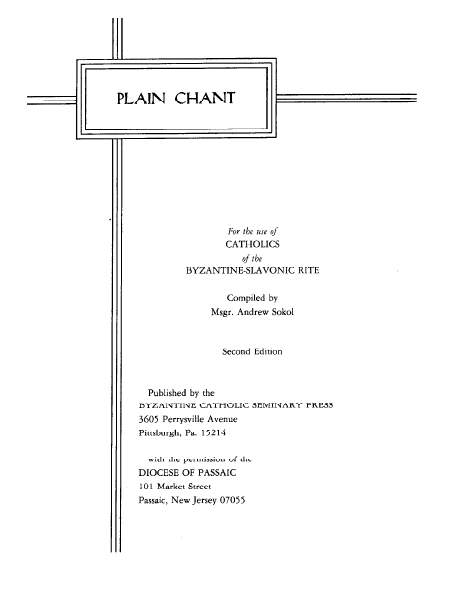 Towards this end of cantor education this first volume has a brief section on the proper pronunciation of the slavonic letters used in the transliteration scheme. This transliteration also reflects the softer pronunciation common in the transcarpathians rather than the Russian sounds for the same. 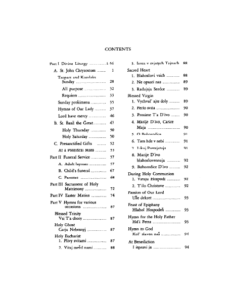 Sokol, Andrew. 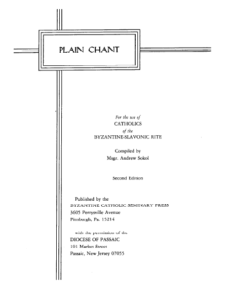 Plain chant : for the use of Catholics of the Byzantine-Slavonic rite. 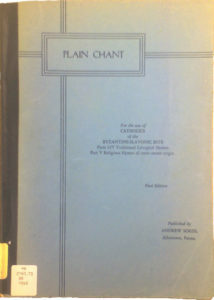 Allentown, PA: Privately Published, 1946.